Sign up for Broadjam today to follow Roger Ebacher, and be notified when they upload new stuff or update their news! A live in-studio performance with The Air Departments composer & multi-instrumentalist Roger Ebacher. 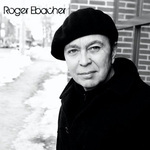 Roger Ebacher: Casio DH-100 Digital Horn, Keyboards, Bongos, & all backing tracks.